Shimano XT: better than XTR, cheaper the SRAM? A first look at the new Shimano XT groupset – 1×11 drivetrain, wide-range cassette, narrow wide chain ring and much more. It a nutshell Shimano XT M8000 is an 11-speed groupset that you can run with single chainset, double or a triple chainset but the really big news is Shimano has produced two XT cassettes, an 11-40 similar to the current XTR, and a new wider range 11-42. We all know SRAM got a jump on Shimano when it came to developing the 1×11 drivetrain – it built the first XX1 groupset around a narrow wide chain ring and a wide-range cassette, opting for a massive 10-42 cluster. 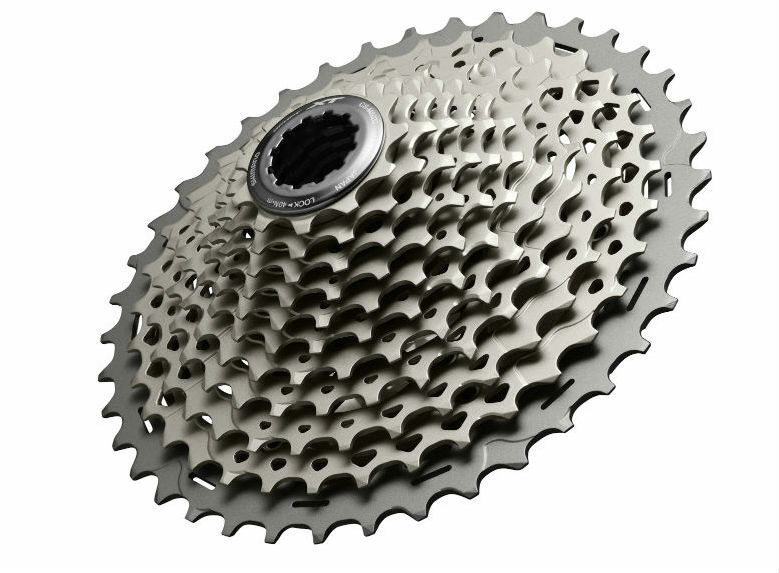 In reply Shimano’s first 1×11 groupset also had a wide-range cassette but this XTR 11-40 cassette wasn’t as wide as SRAM’s and resulted in a narower spread of gears. The new Shimano XT 11-42 still doesn’t have the range but it has the 42t bottom sprocket. 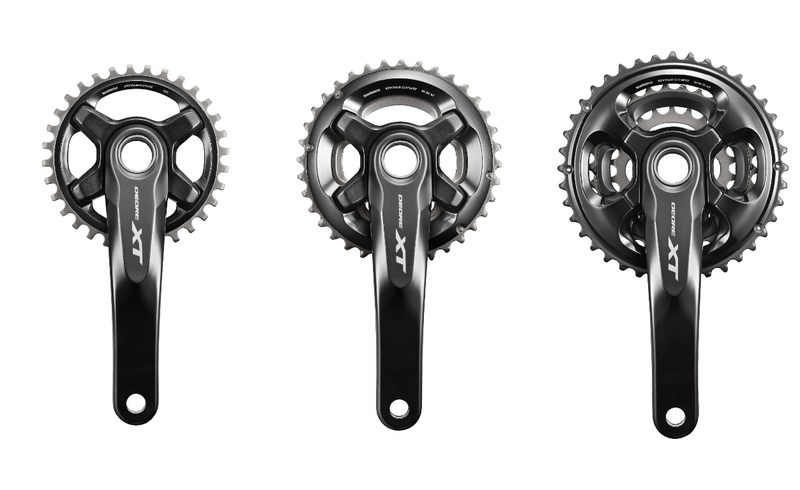 It’s also much more affordable – the new XT cassette is £79.99 but SRAM GX is £115, X1 is £240, X01 £300 and XX1 £338. Do I need a special cassette body to run the new cassette? No. Both the 11-40 and 11-42 will fit on a standard Shimano body. You don’t need to upgrade to a XD driver, like with SRAM’s system, which can add between £39.99 and £100 to the price of the wheels. Does the new cassette have the same ratios? A key difference between the SRAM and Shimano cassettes is the actual spacing between the sprockets. 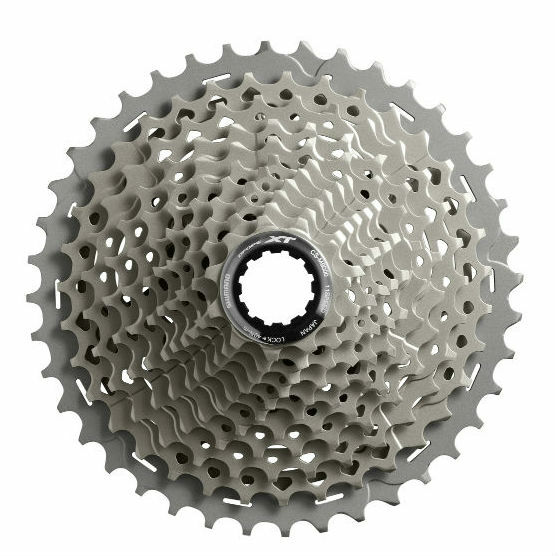 The 11-42 cassette has a five-tooth spacing between the three largest sprockets – the sizes are 11-13-15-17-19-21-24-27-32-37-42. Shimano calls this Rhythm Step and claims these shock-free gear steps save rider energy and help maintain flow. If you run a SRAM 1×11 drivetrain you may have noticed there is a bit of a jump between the 36t and 42t, which can sometimes stall you momentum, especially when shifting down on a climb. Is there a narrow wide chain ring? Shimano is offering three narrow wide chainrings for XT – 30, 32 and 34T, with the same hooked teeth as XTR. Apparently the deeper teeth increase chain retention force by 150%, and, according to Shimano, also reduce chain wear. The single ring (£49.99) and crank (£99.99) are sold separately and you pay the same price for the double and £159.99 for the triple ring option. Yes they’re the hollow forged Hollowtech design. There’s also an updated Hollowtech II bottom bracket, which uses smaller cups, lighter bearings and new seal system. The cups are the same size as XTR, which means you’ll need a specific fitting tool. This interlocks with a standard splined BB tool and with XTR it’s included in the box, but we’re not sure if that’s the case with XT. Any changes to the front and rear derailleurs? Minor tweaks – the upper jockey wheels on the rear mech have a taller tooth profile for improved shifting and the clutch mechanism now mirrors the one used on XTR. There are two cage lengths – GS and SGS. To improve tyre clearance the front derailleur is offered in a new compact Side Swing design, again first introduced on XTR. There are also several mounting options – direct mount, E-type, high and low clamp. Both top pull and down pull versions configured for double and triple shifting. I want to mount the shifters to the brakes can I still do that? Yes Shimano has introduced two fitting kits – I-Spec-II for new XT and XTR brakes and I-Spec B-type for the previous generation Shimano brake levers. 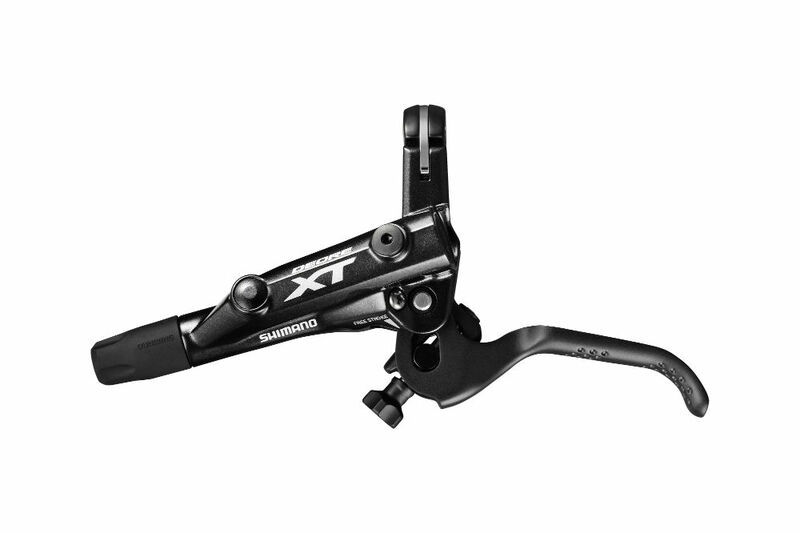 The XT 1×11 shifter gets a dimpled long sweep up shift lever and a grooved release lever. Inside is a new Optislick cable, which apparently provide a 20% decrease in shift effort. The shifter has the usual 2-Way Multi Release the indexing mechanism has been tweaked to improve accuracy. Any changes to the disc brakes? The current XT disc brakes are some of the best on the market so we’d be surprised if Shimano started messing with them and thankfully it hasn’t. Apart from slimming down the master cylinder to free up a bit of bar space and slightly tweaking the Servo Wave mechanism to improve lever feel, the XT disc brake is identical to last year. It has reach and bite point (or Free Stroke in Shimano vernacular) adjustment. IceTech rotors and adapters are sold separately. Yes and no. They look the same but there are minor tweaks to the height and width of the both the Race and Trail SPDs. The Race is 2.8mm wider and the Trail sees a 3.3mm width increase, both pedals get a 0.5mm platform height reduction. It’s small margins but according to Shimano there are some slight improvements in pedalling efficiency and an increase in the pedal-to-shoe contact area. The complete Shimano XT groupset price including cassette, chain, bottom bracket, right-hand shifter, rear derailleur, crankset with 1x chain ring (no disc brakes) is £402.93. If you compare this to SRAM’s new GX 1×11 groupset you’re looking at a £48 saving, and that’s without factoring in the price of an XD driver, so it could be more. 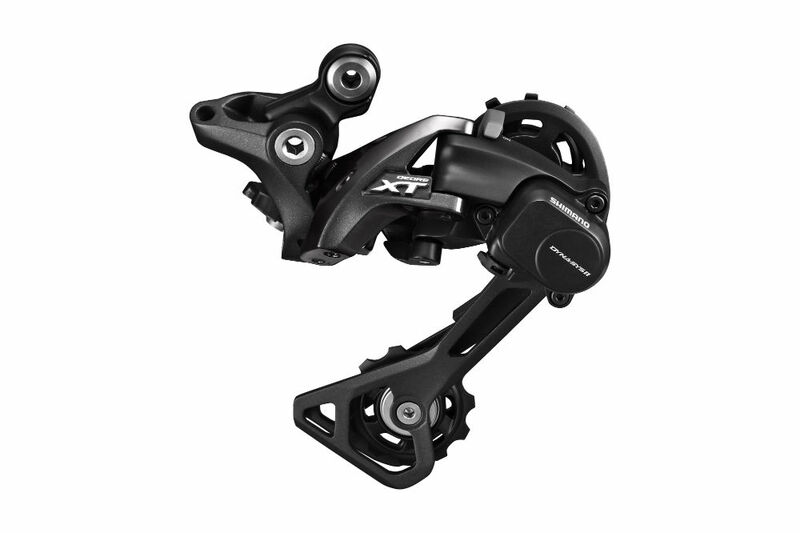 Also Shimano is traditionally been compared to SRAM X0 and the current retail for SRAM X01 is £817! You can read our comprehensive Shimano XT (2016) groupset review here. Shimano took a lot of flack for not bringing out a wider-range cassette with XTR but it’s done the right thing with XT. 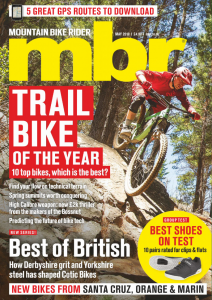 As a second string group, it doesn’t have the polish and attention to detail of XTR but in some respects XT is actually a better product for trail riding because it offers equivalent performance, has way more options and is fantastic value. 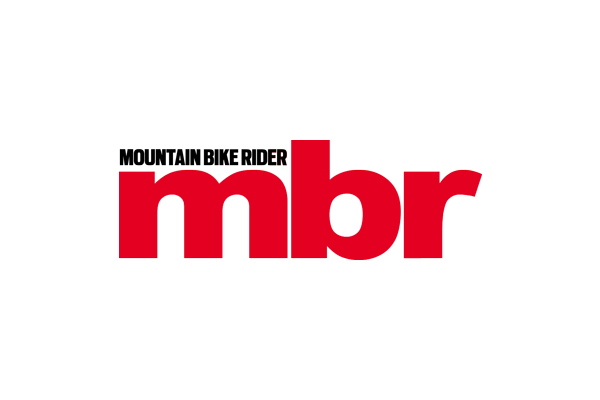 You just have a look at what you get for your money – there three chainsets options to pick from, tons of front derailleurs and you don’t get hollow forged aluminium cranks from anyone else for this money. 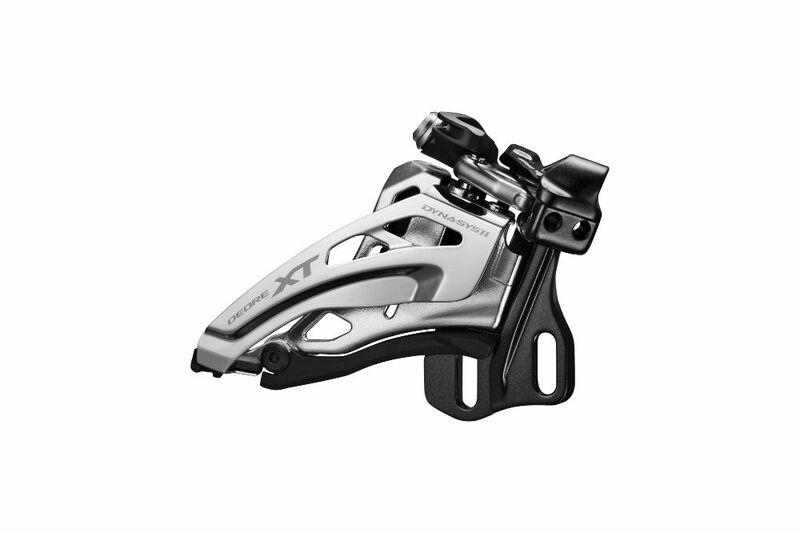 The XT disc brakes are the best out there and Shimano easily has the best clutch mech and probably the edge when it comes to shifting performance. If the chain retention is on a par with SRAM and the weight is competative, Shimano XT could be the new must have 1×11 groupset. We previously said SRAM GX could bring effective single-ring drivetrains to lower price points but we reckon you’re going to see just as many, if not more bikes with Shimano XT. Also it’s not that hard to predict what will happen next – Shimano updates SLX and bikes under a £1000 get the 1×11 treatment!